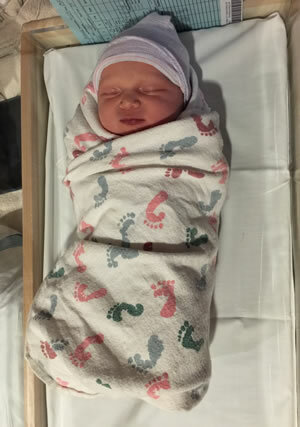 Akridge & Akridge Chiropractic > Blog > Akridge & Akridge Chiropractic > Baby Akridge has arrived! Drs. Craig and Lacey Akridge are pleased to announce the arrival of their daughter, Taylor Michelle. She was born at 1 a.m. March 2. Taylor weigh 8 pounds, 2 ounces when she was born and was 21 inches long. Both mother and baby are doing well. While Dr. Lacey is on maternity leave through June 2015, Akridge & Akridge Chiropractic will have other chiropractors available to take care of her patients. Please call us at 402-884-4774 if you have any questions or concerns.